It’s amazing what Christmas will do to the hearts of people—even if it’s only for the moment. Consider World War I. It was a particularly nasty war, complete with chemical warfare. Both sides dug trenches along the Western Front. It is estimated that each side dug around 12,000 miles of trenches. Separating the opposing trenches was a “no man’s land,” which was as narrow as 50 yards in some places. Life in the trenches was hard. It was foul smelling, dirty, and many of the men died from exposure. The casualty rate was high. But then came December 24, 1914: Christmas Eve. In one section of the trenches, the British could hear the Germans singing a Christmas carol. They could see lanterns and small firs trees set up as Christmas trees. So the British forces responded with a Christmas carol of their own. And so it continued. 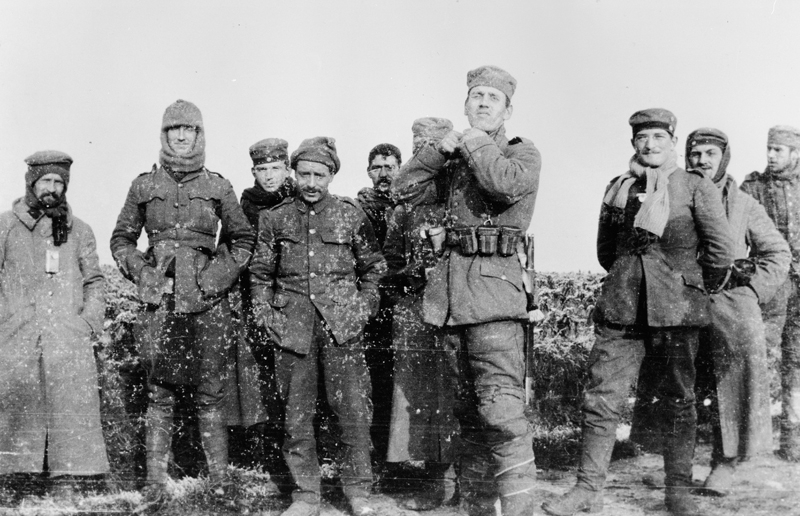 Stepping into “No Man’s Land” was suicidal, yet on Christmas Day, the men on both sides stepped out and greeted each other. They called their own truce, even swapping gifts. A game of soccer (OK, OK, football for you Europeans) ensued. British and German soldiers meeting in No Man’s Land, December 25, 1914. High Command didn’t approve of such make-shift truces. They were concerned it would squelch the soldiers’ fighting spirit and they would be hesitant to kill each other. Imagine that. Christmas passed—and so did the truce. Joy to the world and peace on earth was relegated to one day, and life returned to what it has always been: fighting, hatred, distrust. And if you ask me, that’s no life at all. But no lasting truce will happen until my heart surrenders to the Prince of Peace and Lord of all. Next Next post: Jesus Was Born … Where?